Your friend might have been killed by the Mafia and know they're probably chasing you. 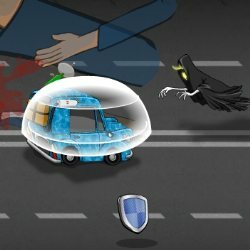 Kill all the Mafia you find and drive your car to their leader and kill him. You have limited bullets, but you can restock them at the shop. Move using the WASD or ARROW keys. 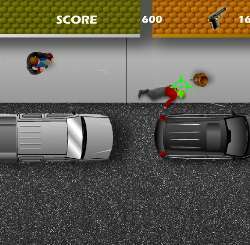 Select a gun using the number keys 1-3, aim using the MOUSE and LEFT CLICK to shoot. 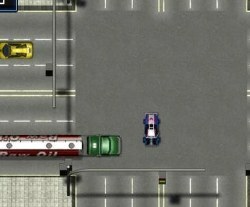 Control the car using the WASD or ARROW keys. Use the SPACE BAR to brake. Click here to send Runaway to your friends using your default email program.